I’m Going Sprout- Part 2 | Food It Yourself! The adventure with growing bean sprouts continues! The beans were soaked for the prescribed 24 hours. Next, the instructions called for draining them and leaving them in a dark location; they should be rinsed and drained twice daily during the sprouting process. 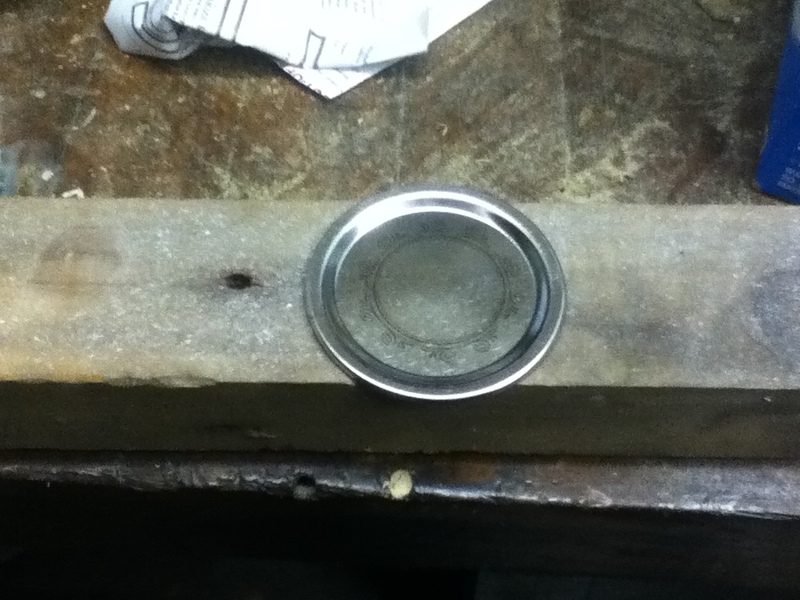 Step one: Place a mason jar lid on a scrap of wood. 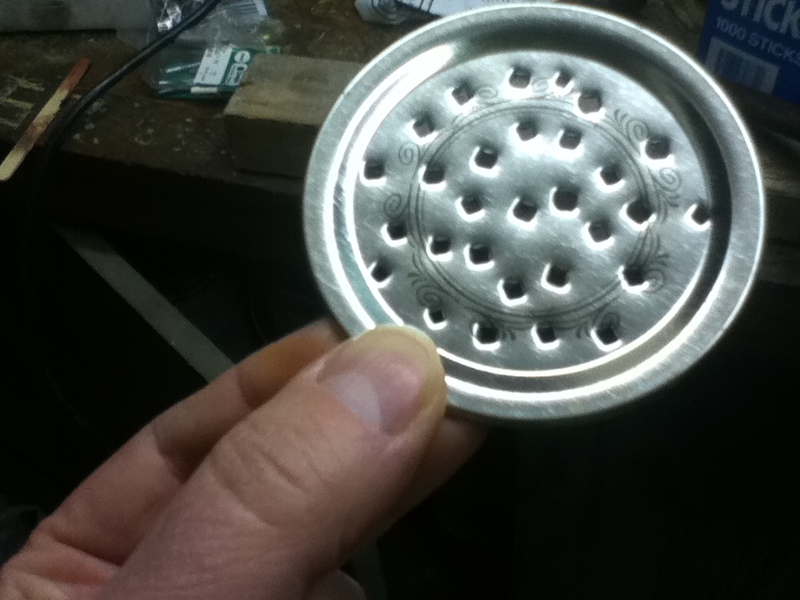 Using a nail and your favorite hammer, punch a hole in the lid. Repeat as needed. 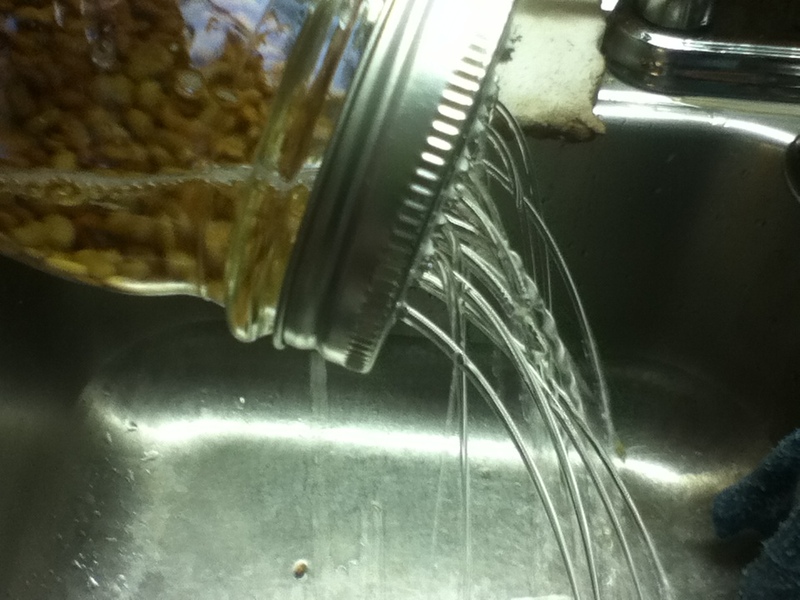 Place the jar lid on your jar. 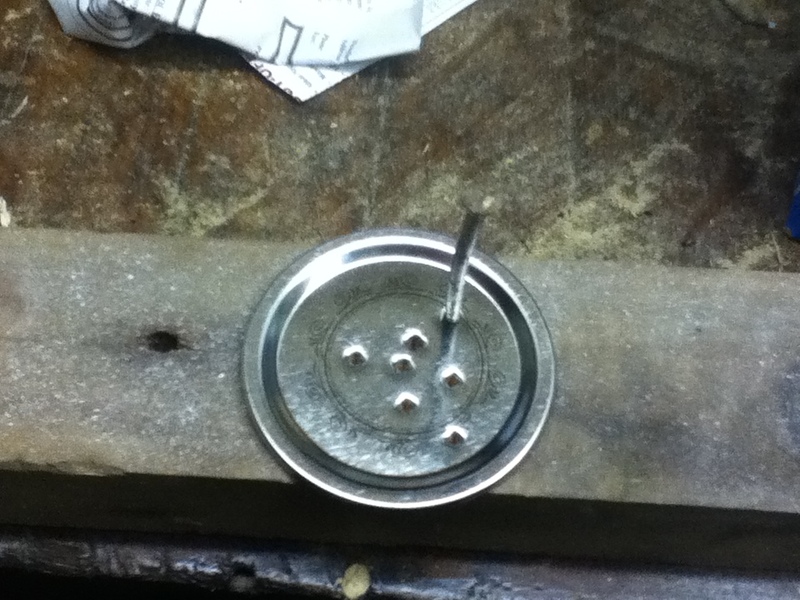 I oriented mine so the pointy parts left by the nail face out. I don’t want to shred my sprouts. So now the beans are sitting quietly in a dark cabinet, soon to sprout, I hope. Thanks for following my posts as I experiment with sprouts. I’ll keep posting on the progress. 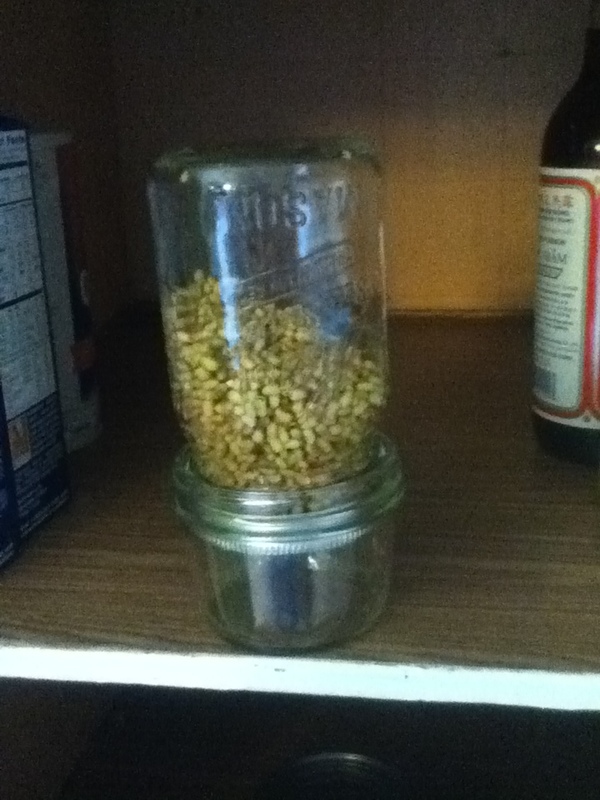 I set the “regular” mouth jar upside-down on top of a “wide” mouth jar to catch drips.